Designee for the Secretary of Energy, Minerals & Natural Resources Dept. 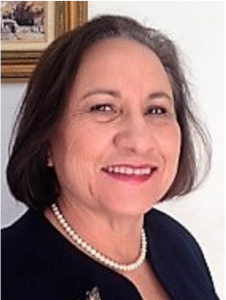 Louise Martinez is the Director of the Energy Conservation and Management Division of the State of New Mexico’s Energy, Minerals and Natural Resources Department. She has over 30 years of state government experience supporting the development of cost-effective energy projects, policy strategies and program management activities to ensure that communities, stakeholders and industry are provided the technical and programmatic assistance necessary to implement cost-effective energy efficiency, alternative transportation and renewable energy projects.